Experts feel markets are likely to rally further. Indian benchmark indices Sensex and Nifty today logged new lifetime highs on the back of all-round buying by overseas investors triggered by a slew of positive factors, including sharp drop in Current Account Deficit. The BSE 30-share Sensex resumed higher and remained in positive terrain throughout the day. It touched a new intra-day high of 21,525.14, before ending at a record closing high of 21,513.87 — a rise 237.01 points or 1.11 per cent. 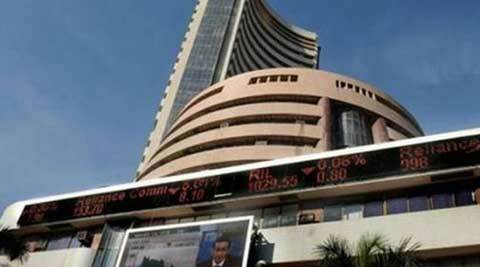 The Sensex surpassed its previous record closing of 21,373.66 set on January 23, 2014. The Sensex has gained 567.22 points in three days. ICICI Bank, RIL and L&T led the 24 gainers in 30-share Sensex. Hindalco and BHEL clocked the best gains. Foreign Institutional Investors (FIIs), the main market driver, continued buying and picked up shares worth Rs 737.29 crore yesterday, as per provisional data with stock exchanges. The NSE 50-issue CNX Nifty also closed at an all-time high of 6,401.15, revealing a rise of 72.50 points or 1.15 per cent. However, it failed to breach its intra-day all-time peak of 6,415.25 registered on December 9, 2013. The Nifty’s previous closing high of 6,363.90 was also made on December 9, 2013. “Markets hit new highs on the basis of strong FII flows as well as increasing retail participation. Normally it is seen that there is pre election rally and that is what is reflected in the levels. We feel a strong political mandate would result into increasing level of optimism and hence new levels for the market,” said Motilal Oswal, CMD, Motilal Oswal Financial Services Ltd.
India’s current account deficit fell to USD 4.2 billion, or 0.9 per cent of GDP, in December quarter of 2013-14 on the back of rise in exports and fall in gold imports. Brokers said sentiment firmed up on optimism that a shrinking CAD will bolster rupee and attract overseas inflows. The rupee was trading at 61.1 levels against the dollar as forex trading neared close. Positive cues from Asian region and higher opening in Europe, further supported the domestic market surge, brokers added.